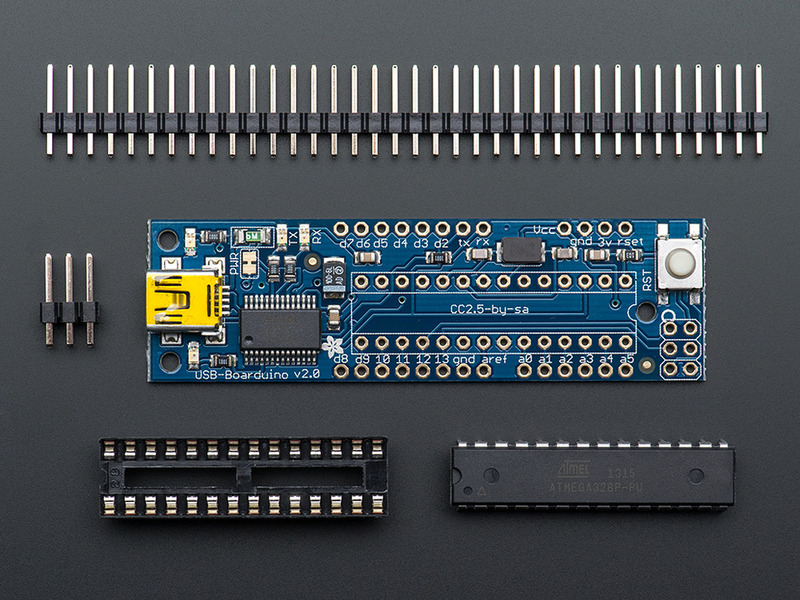 This is an Adafruit Boarduino Kit version 2.0. 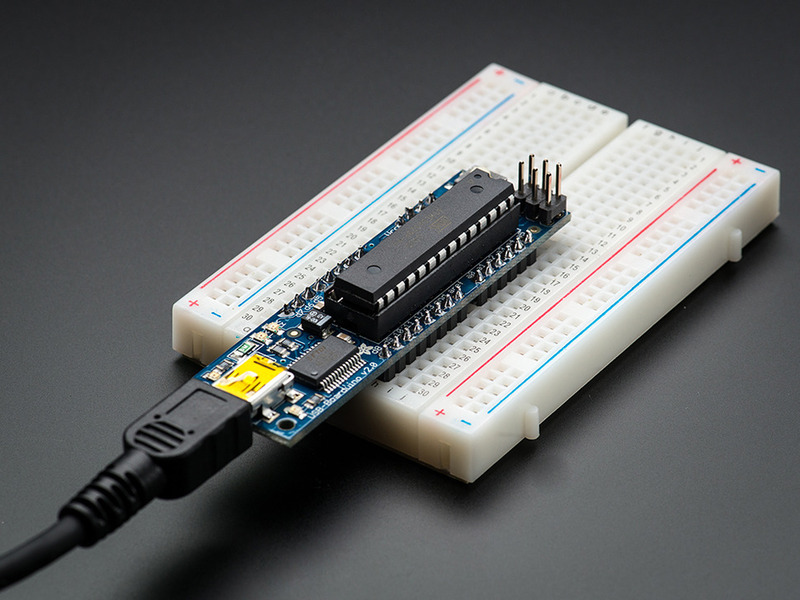 If you've ever struggled to use a solderless breadboard with an Arduino, you understand how frustrating it can be! 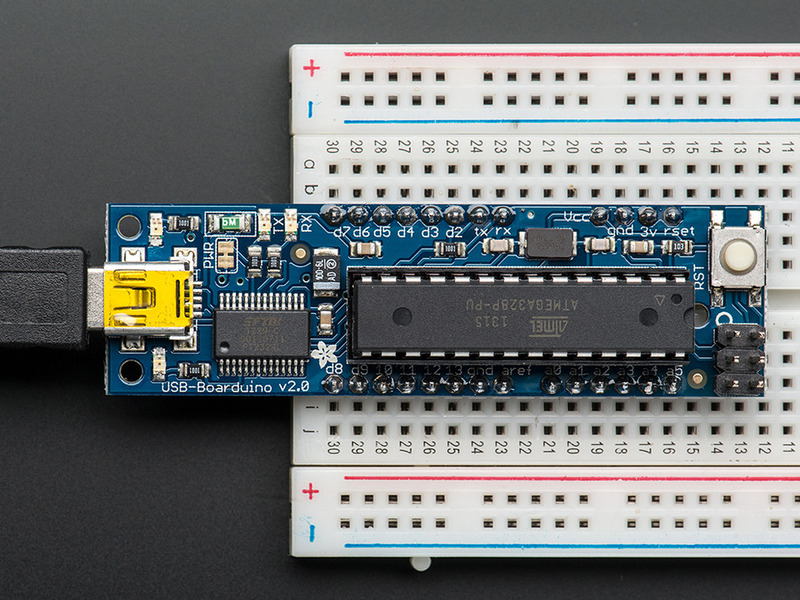 This development board acts just like an Arduino, and works with the latest Arduino software. For many projects it can even be preferable! The kit includes all parts necessary, the assembly is straightforward and well documented, using just a soldering iron anyone can complete it within 10 or 15 minutes. 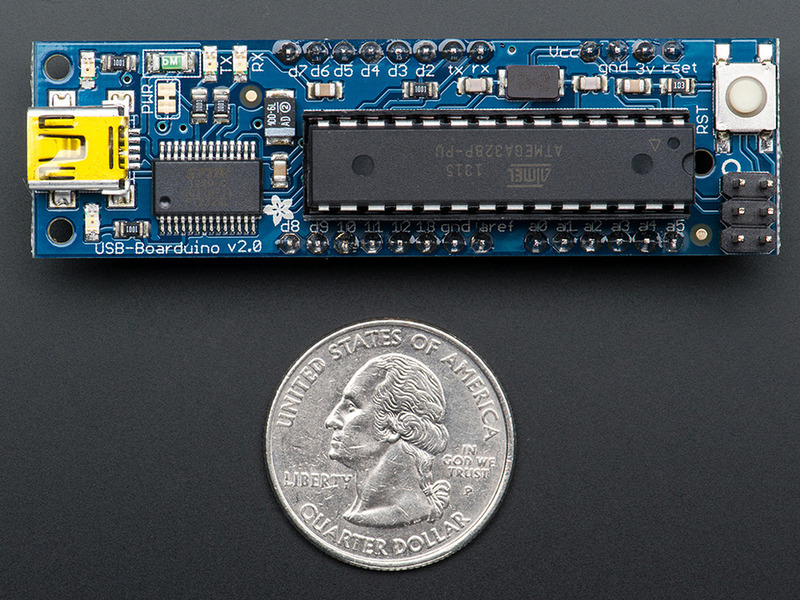 This version of the Boarduino does not have a DC jack. That means you can't use a 9V adapter or battery holder with it (unless you build a 5V power supply). However it does have USB built in and you can power your project using the USB cable. * For more infomaton please visit Adafruit product page.